Go directly to the Video Playlist or read the full article below, complete with embedded videos and commentary. 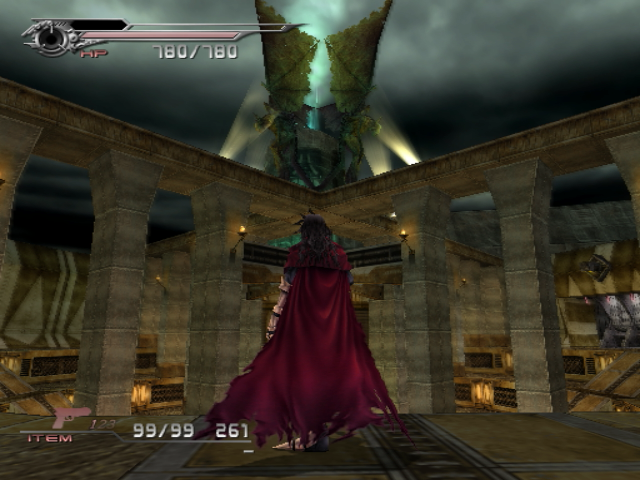 Just over ten years ago, the online mode of Dirge of Cerberus was discontinued after seeing service for only eight months. 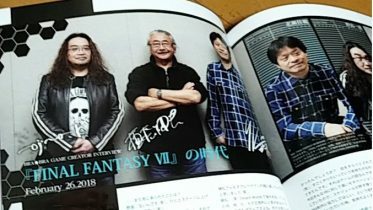 The servers were taken down without the game ever seeing presence outside of Japan. 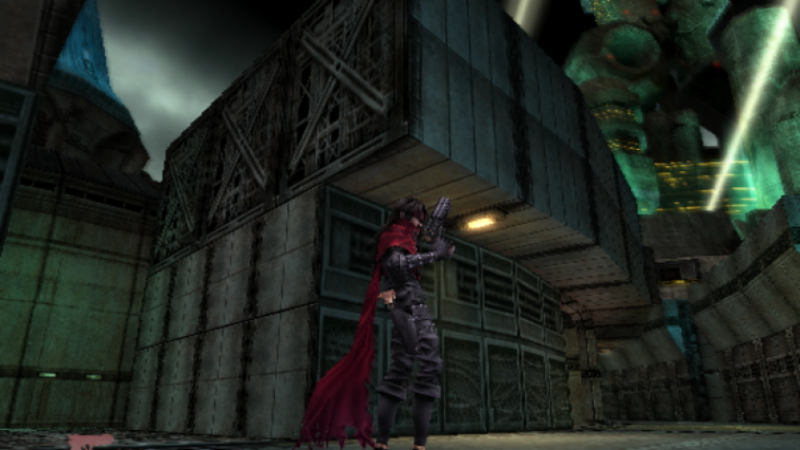 When the overseas release of this PS2 RPG Shooter came, with single player only, some areas and missions from the online mode was worked into the 46 “Extra Missions” available to the player once they had completed the story campaign. Keyword “some” areas and missions. Some maps were neglected entirely and some only existed in a limited fashion. A prime example are the Deepground Lobbies: The main hub of the online mode, where the player could talk to NPCs, chat with other players, do sidequests, buy equipment and pick a variety of missions to be transported to. 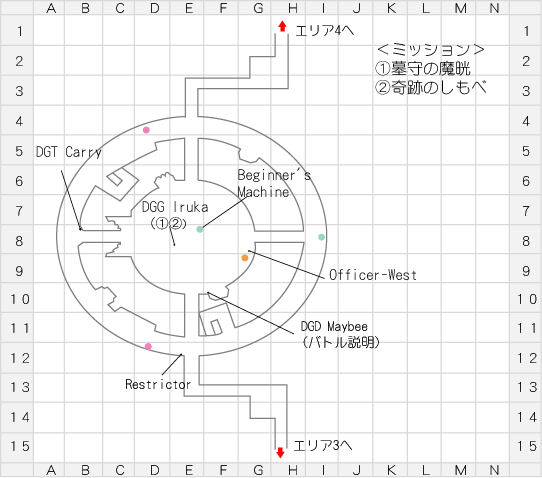 These were four circular areas, one for each cardinal direction, placed around a holographic projection of Shinra HQ. 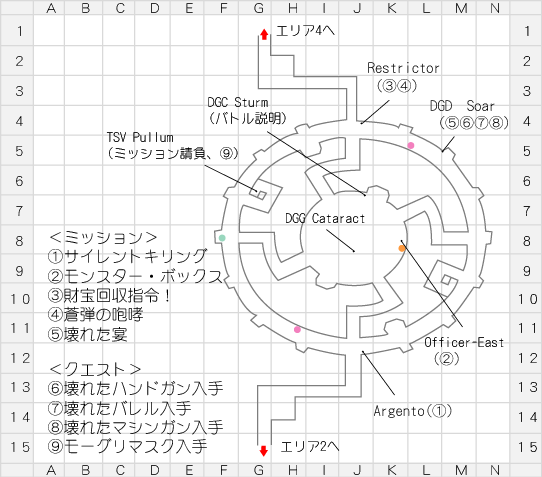 The East Lobby was available to a limited degree in two Extra Missions: The 43rd mission, “Cait Versus the Empowered”, and the 44th mission, “Deepground”, where Vincent would battle (albeit powered-down versions of) Azul, Rosso, Nero and Weiss simultaneously. 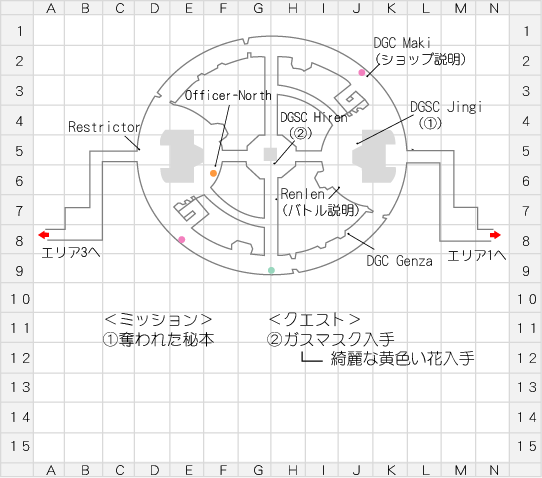 In both missions you were confined to the inner circle of the East Lobby, never allowed to venture outside of that space. 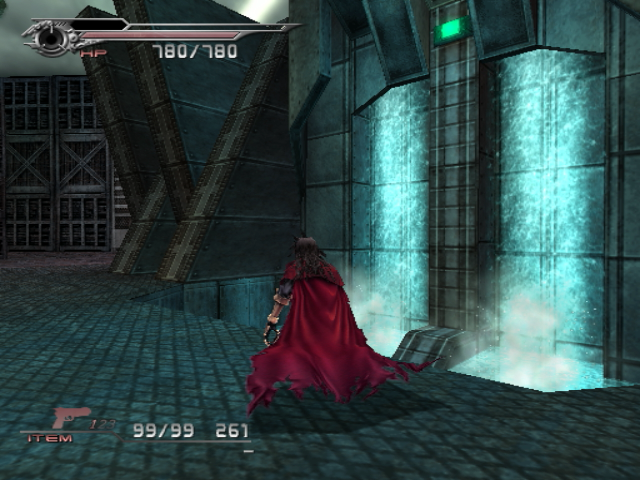 By emulating Dirge of Cerberus on PCSX2 and applying the Cheat Engine, I was able to warp beyond the red electromagnetic barrier that keeps you from exploring the rest of the East Lobby in both Extra Mission #43 and #44. To my added joy I found that the South, West and North lobbies could be explored as well! For the first time since the online mode was active over ten years ago, a player has now roamed all the lobbies of the Deepground hub. Becoming familiarized with these areas is quite enjoyable, albeit a somewhat lifeless journey since no NPCs are present (apart from the four Tsviets you do battle with) and all the terminals are now defunct. For your viewing pleasure, here are recordings of me exploring said areas. Make sure to watch with annotations activated (annotations not viewable on mobile) as I will be pointing where the game’s NPCs used to stand. 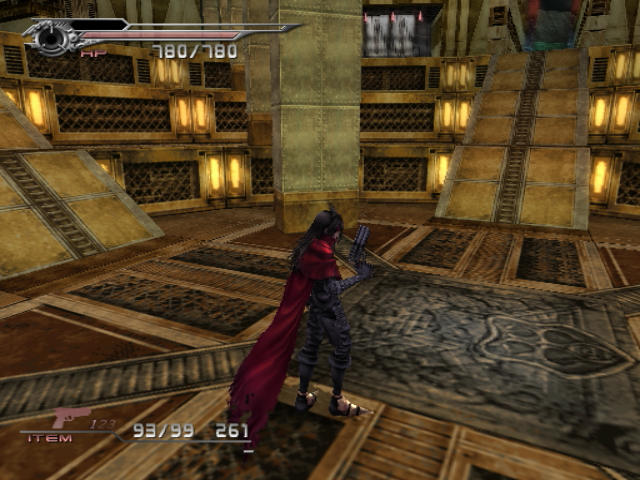 Navigating through the East Lobby is pretty easy thanks to the game actually supplying a mostly full map to the area. I say “mostly”, because the paths to the North and South lobbies have been removed from the menu-map even though these paths still exist. When you visit the other lobbies the menu is not updated with new maps to show these areas in full, meaning that soon after leaving the East Lobby you will be exploring without the aid of a map. 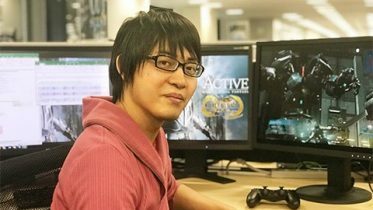 To help us we will use the maps created by Japanese blogger Cloze, who reported on the online mode while it was still active. These maps also point out where all the NPCs stood, which is the guide used for when I intentionally pause at each area where an NPC used to be present. Each lobby has their own Restrictor and their own Officer. Argento is a Tsviet of the color “Silver” and her fate after the story of the Multiplayer remains unknown. The highest rank that the player could achieve was to become a “Tsviet”, although they were never able to become a Tsviet assigned a color. Here are the Deepground ranks from lowest to highest: Drone → Scout → Trooper → Commander → General → Tsviet. Knowing the ranks help you understand the letters preceding the names of some of the NPCs. Each lobby has two basements, the doors to which are closed. Thankfully, the door to one of the basements in the North Lobby is not solid and we can explore that basement freely. With the aid of Vincent’s double jump we can look past some of the game’s walls (as the online mode did not allow a second jump in mid-air, the map’s collision data is not adjusted for Vincent’s abilities) and spot that all the basements are indeed identical. Exploring the available basement in the North Lobby is all we need to do. Atmosphere is imparted to this area with the steam that rises from the many ground vents. Another defining feature is the towering arch that expels electric charges at all times. Don’t worry, the electricity can’t actually harm you. The North Lobby is a place with plenty of running water. Could it be that the water from the North Lobby makes its way here to the South Lobby, where it is turned to steam that partially powers the electric arch tower? I am merely speculating. Regis, Este-D and Ljungbery are our first researchers on this list, which is why they lack Deepground soldier ranks. Este-D is the mad scientist we have the most informed impression of, since she is present in the cutscenes from the online mode. She is always looking to turn people into her research subjects, no matter the risk to their health and life. She is very much the underground version of Hojo, minus the cackle. 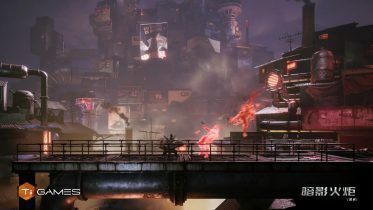 Because Cloze’s maps were posted on February 14, early in the online mode’s lifetime, it does not include the NPCs that were later added on such as the friendly Black Widow robot “Black-J”. Black-J would occupy one of the basements but I don’t know which one. 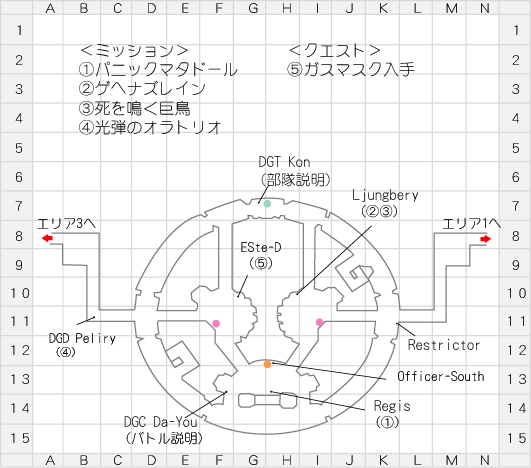 “DGT Emily” is an NPC that occupied the path between lobbies, but her location is unconfirmed. At some point the researcher Waldo was added to the South Lobby. Then again, perhaps we should consider that Cloze…just didn’t find Waldo? Two golden beige statues of Gargoyles look over the centre of this lobby, lit by both fire and electrical lights. This lobby is wonderfully different from all the rest with the design of the inner circle. This was the place with the golden jukebox called “Beginner’s Machine”, which also had a golden cactuar fixed on top of it. All I know about this machine is that you could use it to change the background music of the Deepground hub. Although every lobby has their own officer, the only officer we observe in the cutscenes from the Multiplayer is Officer-East. Though it has been claimed that depending on which officer the player decided to talk to when triggering the relevant cutscenes, this would change which officer occupied the cutscene. The unlisted NPC “DGC Masso” was probably added sometime after February 14, 2006. Sparkling, clean, artificial waterfalls and wells furnishes the North Lobby. 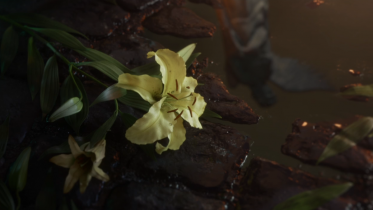 This is quite different from the dirty, disgusting water that the player can spot in Chapter 10 of the single player when they explore Deepground. There had to be purified water somewhere, right? Like I speculated before, I wonder if the water runs from here to the South Lobby where we see so much steam. The North Lobby is definitely one of the more relaxing lobbies, especially when compared to the ominous gaze from the golden gargoyles in the West Lobby. 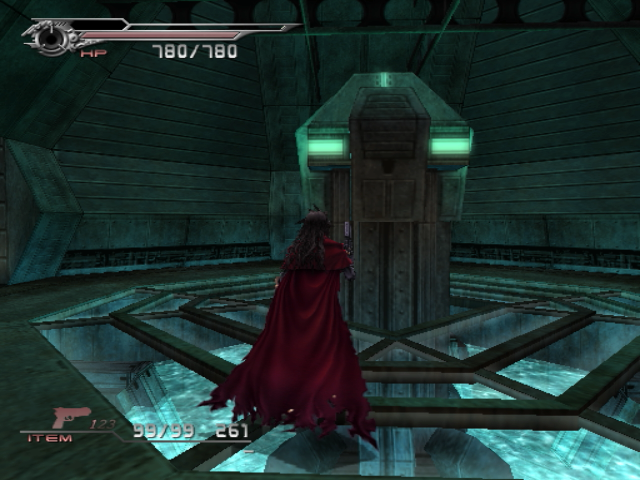 Thanks to the door to the southeast basement not being solid, you can freely explore it without using any additional cheat codes. 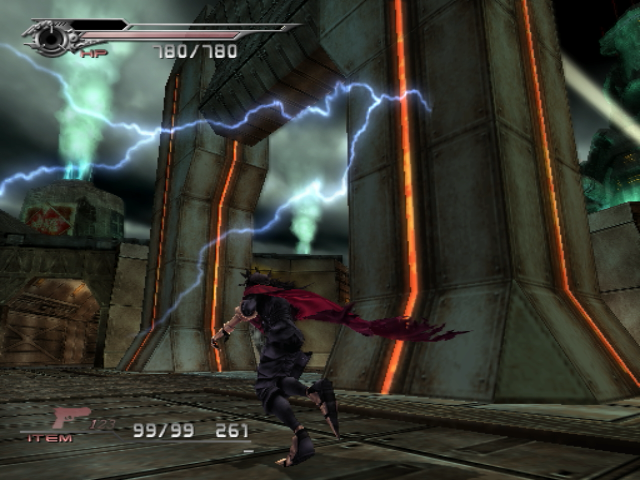 If you have read all the way to this point, chances are you have a rare interest in the Dirge of Cerberus Multiplayer. If you are in possession of any online mode media which is no longer available on the internet, please share in the appropriate thread or contact me (username Shademp) on TLS directly. 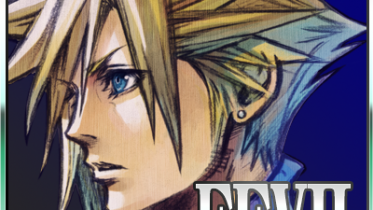 If you happen to know Japanese and want to contribute to the growing DCFFVII Multiplayer archive, any translation help would be extremely appreciated. Site author. 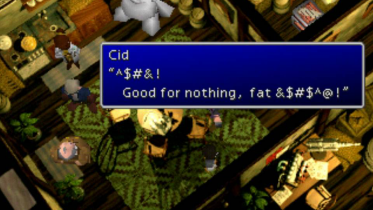 I'm responsible for the Unused Text series, which analyzes the hidden text of the original Final Fantasy VII. 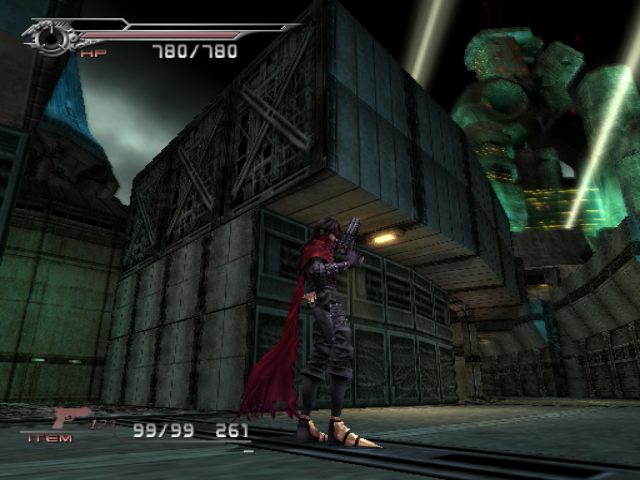 In various forum threads you will also find my research on Compilation titles like Dirge of Cerberus and Crisis Core. Is great but you have managed to unlock to be able to use the enemy characters for example weiss? Never noticed these before. Talk about amazing!